Annually serviced by Whitstable Marine. The Bombard Ribster 500 is the perfect entry level RIB for beginners or for experienced RIB owners. She is suitably fitted out with two bench seats, foredeck seat, and plenty of storage lockers, creating plenty of space for the family. She is on her own road trailer, and is launched & recovered with ease. She is clean, on the button and ready to be taken away. 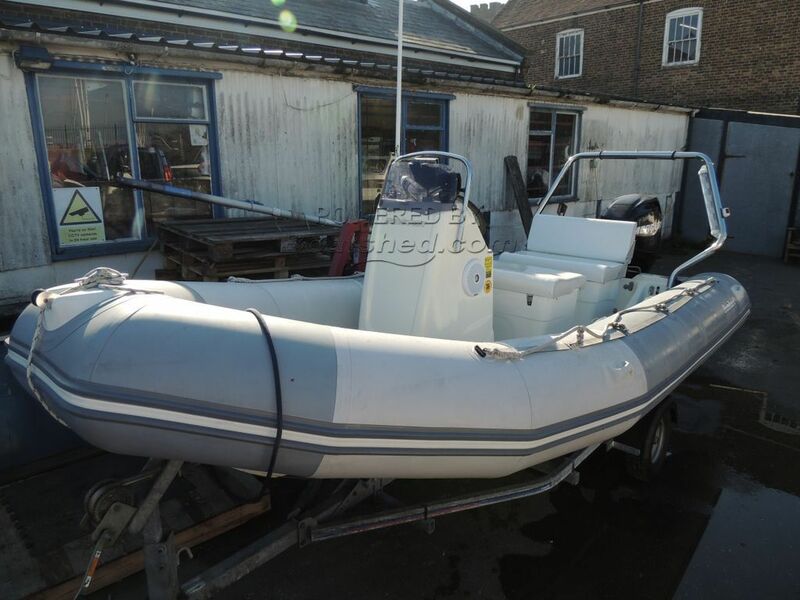 This Bombard Ribster 5M has been personally photographed and viewed by Jamie Nash of Boatshed Kent. Click here for contact details.